The embedded business intelligence market is projected to double in size between 2016 and 2022. This technology is clearly in demand, but does that mean it should be embedded into every application? The answer is not so obvious. Embedded BI has advantages from the developer’s perspective. Most noticeably, it frees up IT teams from having to conduct client reporting. Considering what a giant workload this is, companies often have to choose between stretching their current staffs thin or making expensive new hires. Embedded BI lets the current IT staff focus on more important matters while delivering reports to clients in less time. When BI is embedded in software, it also turns the product into a powerful data management tool. Users can largely quit dealing with spreadsheets because BI solutions automatically integrate and update information. Business intelligence solutions can also combine data from across departments to gain enterprise-wide visibility and adaptability. Having those features embedded can make that application more valuable. Even so, it’s wise to consider all aspects of your needs and the BI’s capabilities before rushing to add it to your software. That conclusion is borne out in the churn rates. The conditions that cause churn — poor usability, lack of user success, etc. — are alleviated with embedded BI. Overall, applications become more relevant, accessible, and insightful, which has an obvious impact on customer satisfaction. Smart developers weigh these advantages against the potential disadvantages. Embedded BI is great until the relationship between developer partners sours. Then, disentangling the two solutions becomes challenging — even impossible in some cases — because BI is incredibly “sticky.” A company’s users may build up a library of reports that cannot be “translated” into the new BI format and so must be recreated in the new application. Or they may become used to the original user interface and feel reluctant to transition to a new solution. As a result, developers may find themselves stuck with a BI partner that neither they nor their users like. Cost is another concern to weigh carefully. Embedding BI can be expensive, requiring a careful measuring of cost and benefit before signing a contract. For some companies, the investment will be risky or unnecessary, which is why BI is not embedded in every application. Companies want to make sure they choose a partner they can trust to function as an extension of their own staff, because that’s exactly what OEM teams become. 1. How much time for planning do we have? 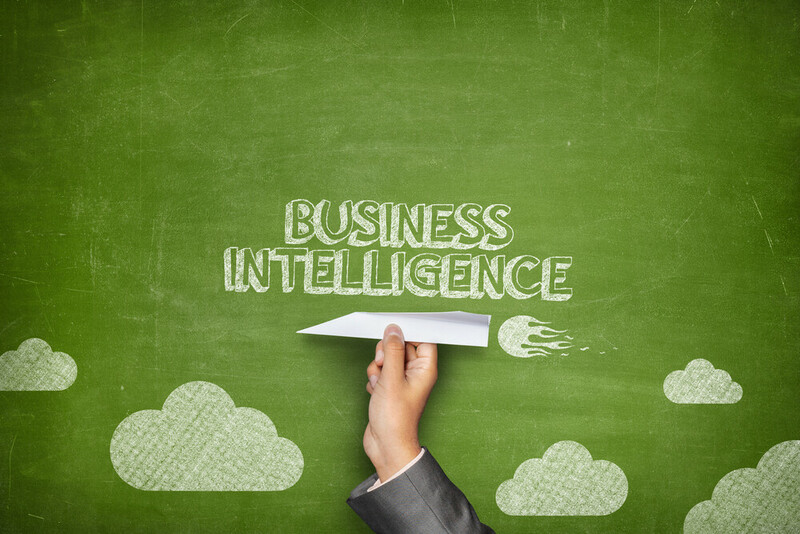 Successful BI integrations are 90 percent planning and 10 percent execution. Investing more time and resources at the front end delivers better results over the long term. Explore how you and your users would want the solution to work if you developed it in house. The planning stages are important for identifying what you really want and need in embedded BI, so don’t move forward if you can’t prepare in full. 2. Is the partner and solution right for us? Evaluate whether any option solves the problems you face and whether a long-term partnership makes sense. Insisting on the best option is important because, ultimately, you’re associating your brand with whatever BI you embed. Create a proof of concept checklist to use during your product evaluations, and make sure you do a handful of tests before you settle on one. For example, does the solution in question embed both reports and report writers, or just reports? Different vendors use the same words differently, so don’t take technical terms at face value. Interrogate them, and make sure they mean what you think they mean. 3. Will the solution allow us to scale? The value of business intelligence disappears when the solution can’t scale. If factors like the network, architecture, hardware, data structure, and UX design can’t grow along with data volumes, then applications will face performance declines and angry users. Scrutinize the partnership contract for obstacles to scaling in order to avoid them and to ensure that performance stays strong as your user base grows. 4. How easy is the solution for users to adopt? The point of embedded BI is to create value for users, but if the interface is confusing and cumbersome, then adoption will be low. Also, users tend to revert to old tools and past ways, making it even more difficult to get buy-in for embedded BI. Asking executives to put best practices into place absolutely encourages adoption, but the quality of the solution is what makes or breaks it. Similarly, adding embedded BI means you have to train users on the new solution if there is to be any hope of wide adoption. This is a major undertaking that might require adding expensive new staff. However, the alternative is to underdeliver in terms of training and contend with confused and upset clients. Building new features into a product puts new pressures on a company that must be evaluated before making a final decision. Embedded BI is neither a superfluous accessory nor essential for every business across the board. Instead, there is a spectrum of need and value. Companies must decide for themselves where they fall and whether it makes sense from a business, technological, and customer satisfaction standpoint. Mike Brody is the co-founder and CEO of Exago Inc., a web-based solution for software companies looking to provide ad hoc reporting, dashboards, and analytics to their internal and external customers. With over 45 years in the software industry, Mike played a key role in establishing the stock plan management and financial reporting industry with his second company, CMS Trancentive, which was later bought out by Computershare. Since Exago’s inception in 2006, Mike has led Exago to its position as a self-funded and profitable player in the business intelligence software market.